Western Anglers Fly Shop is the only full-service fly shop in the Grand Valley. We’re your local stop with not only a good attitude, but give you the most current information on fishing reports, spots and what to use. 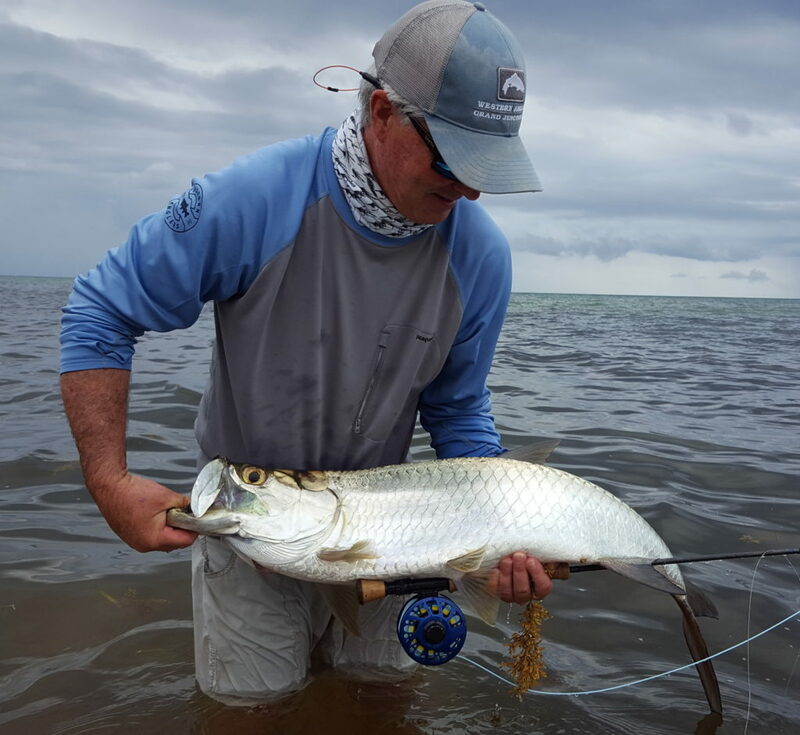 We carry only the best brands, giving you the most quality gear available on the market, including: Scott Fly Rods, Sage Fishing Products, Ross Reels, Fishpond, Simms and many more. We price match and special order everyday to offer anglers the best shopping experience on the Western Slope. We also offer hosted travel opportunities and have access to private trophy waters. We hope you’ll come in as customer and leave as a friend, and maybe we’ll even get to fish together if we’re not working too hard! Please let us know if you have any questions and we look forward to seeing you in the shop. Thank you for giving us your business! Come visit us at 413 Main Street in downtown Grand Junction, Colorado. Ned moved to Colorado when he was 4 years old. He grew up on the Front Range, continued his education at Fort Lewis College and after graduation, stayed in Durango until 1995. Durango led Ned to his passion for the outdoors: skiing, fishing, mountain biking and everything else in between. It also led him to his wife, Colette! Ned began working with a commercial roofing company and later opened and managed a new office in Albuquerque, New Mexico. 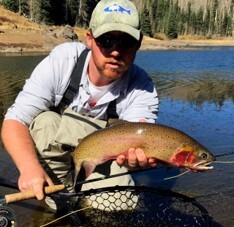 After spending a couple of years in New Mexico, he had the opportunity to relocate and manage the Grand Junction office just as Colette began working at Whiting Farms, a major manufacturer in the fly fishing industry. In 2015, Ned was ready for a change after 26 years in the construction industry, and had the opportunity to purchase Western Anglers. He’s passionate about people and fly fishing. The perfect combination as Western Anglers Fly Shop owner! In addition to Colette working full-time at Whiting Farms, she also is very hands on with Western Anglers as she does all the accounting and keeps the shop running behind the scenes. Jeff’s first fishing memories go back to chasing fish with his Dad and Grandpa in Illinois and Wisconsin as a young boy. He’s grateful for getting the chance to share fishing memories with both of them as his love for fishing has grown because of their influence. Growing up in Illinois, he played a ton of soccer, which eventually took him to West Virginia University. With amazing rafting and fly fishing in abundance, his love for the outdoors and water continued to grow. Jeff graduated with a B.S. in Forestry Resource Management and moved to Grand Junction in 2001. His love of fly fishing has only matured since moving to Colorado and is fortunate to live on the Western Slope where so many great rivers are close by. The experience for Jeff on and off the water is something he finds very special and looks forward to sharing with you. Jeff guides at the Bar ZX, and can often be found pursuing his passion while guiding on the Colorado River, Gunnison River, Roaring Fork River and Uncompaghre River. Tyler is a lifelong resident of the Grand Valley and a sixth generation Coloradan. He is an avid fly fisherman, husband, and dad. It didn’t take long for him to discover a love for the outdoors. He grew up exploring all that Western Colorado has to offer and found his true passion of fishing! From a young age you could find him at the local stocker ponds or camping on the Grand Mesa with his family. Not long after getting a drivers license he spent all his free time chasing wild Cutthroats and the Grand Mesa’s many other trout species. Being fortunate enough to grow up with the Grand Mesa as his play ground Tyler has built up a wealth of knowledge on the lakes of the area and honed his skills with a fly rod. Tyler has been guiding for the shop since 2017 and enjoys teaching the sport of fly fishing to new anglers. When Tyler is not guiding or at the shop you can almost bet he is staying current (as he likes to tell his wife) with what the lakes and fish are doing on the Grand Mesa. He’s known as the Stillwater specialist around the shop and is a great guide for your next adventure to the Grand Mesa or one of our private ranches. Take a virtual walk around our shop!